I have a fun recipe for you today. 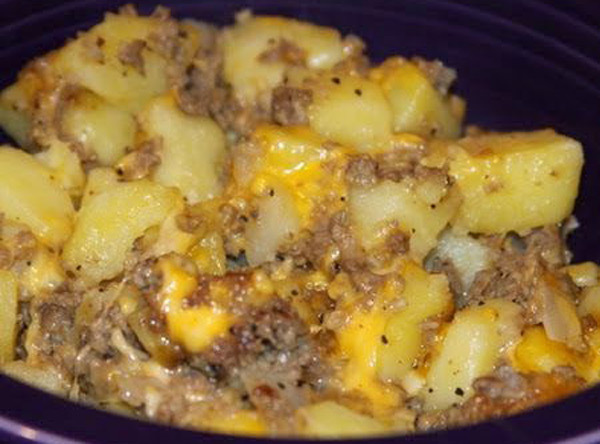 This Slow Cooker Hamburger Hash recipe turns out wonderful! Tender Potatoes, sauce, meat, corn and cheese. This recipe is definitely a keeper! It reminds me of my Tater Tot Casserole Recipe (themagicalslowcooker.com) on the blog, but with fresh-cut potatoes instead of tots, and corn instead of green beans.